THE ITEM PART NUMBER IS 68174067AD. YOU ARE VIEWING 2015-2018 OEM DODGE CHALLENGER FRONT LEFT DRIVER SIDE HID HEADLIGHT. THE ITEM IS LISTED AS USED BECAUSE IT HAS SCRATCHES IN DIFFERENT SPOTS AS WE PROVIDE IN THE PICTURES ABOVE. 04-06 Jeep Wrangler LJ Unlimited. 07-16 Jeep Wrangler LJ Unlimited. 07-16 Jeep Wrangler Unlimited JK 4 Door. 97-06 Jeep Wrangler TJ. 07-17 Jeep Wrangler JK 2 Door. 07-17 Jeep Wrangler TJ. ▲Main LED headlight provide cool 6000K white bright light to improve driving conditions drastically. THE ITEM PART NUMBER IS 68174066AD #1. YOU ARE VIEWING 2015-2018 OEM DODGE CHALLENGER FRONT RIGHT PASSENGER SIDE HALOGEN HEADLIGHT. THE ITEM IS LISTED AS USED BECAUSE IT HAS SCRATCHES IN DIFFERENT SPOTS AS WE PROVIDE IN THE PICTURES ABOVE. Model: DODGE CHALLENGER. Part Grade Abbreviations. cc = Credit Card size units. C = Greater than 200k miles. B = Greater than 60k miles and less than or equal to 200k miles but greater than 15k miles per year. THE ITEM PART NUMBER IS 68174065AD #2. YOU ARE VIEWING 2015-2018 OEM DODGE CHALLENGER LEFT DRIVER SIDE HALOGEN HEADLIGHT. THE ITEM IS LISTED AS USED BECAUSE IT HAS SCRATCHES IN DIFFERENT SPOTS AS WE PROVIDE IN THE PICTURES ABOVE. These new SMD Halos are installed directly to the outside of the vehicle’s headlight lens making installation easy even for a novice! 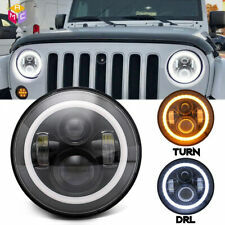 - (4) ORACLE Surface Mount Waterproof Headlight Halo Rings. • Direct-to-Lens Surface Mounting. All tabs and mounts intact except for upper inner tab broken off leaving hole and crack in housing. OEM| 2015 2016 2017 2018 Dodge Challenger HID Headlight Parts. (HID Bulb, Dust Cap, HID Ballast). Used HID Headlight Parts. 2015 2016 2017 2018 DODGE CHALLENGER XENON HEADLIGHT OEM 15 16 17 18 NICE!! (New Mopar Headlamp Center Plug - One. Fits 2015 to 2017 Dodge Challenger. Warranties are only valid in the U.S.A. excluded are Alaska, Hawaii, and Puerto Rico). not included in your order. These fees are. 2015-2018 DODGE CHALLENGER RIGHT PASSENGER HALOGEN W/ LED HEADLIGHT OEM. Headlight is infair used conditions. (led tested). 1 mounting tab broken off but all other tabs firmly intact, see photo #4 & #5. 2015 - 2018 Dodge Challenger HID Headlight. Note: download the app on your IOS or Android phone for free. Application: for Car Auto, Motorcycle and so on. Color: Multi-color,Full Color, RGB. This item is 2019 Newest design extremely bright CSP CHIPS 2x 9012 HIR2 LED headlight bulbs Turbo Fan Super strong Heat dissipation Built-in EMC strong drivder more stabler than other general LED Headlight Easy installation, just plug & play,360 degree viewing angle Faster on/off response time and vibration resistant. no UV and IR radiation, shock-proof and anti-corrosion LED Chip: Newest CSP Light Source. Certification:CE,RoHs Power: 48W/set (24W/bulb) , No damage to the battery Operating Reamperature: -40 ℃ ~ 80 ℃ Warranty: Full 3 Year Color: 6500K xenon white. Matierial: Avi ation Aluminum Waterproof: Yes, IP65. Cross Reference Number:9012 HIR2 Light output: 4500lumens per bulb Application：headlight,fog light Package:2x led bulbs. This listing is for a Headlight Assembly. This item will have wear and scratches from normal use. Please see the 'interchange' portion of this listing for the exact fit. We will do our best to advertise fitments. Please confirm before buying so you don’t buy an item by mistake. If you have any questions, please ask us. **If you have any questions, please ask us!**. This HEADLAMP ASSY is a genuine OEM Mopar part #68174064AF. Manufacturer: Mopar Part Number: 68174064AF Part: Headlamp Assembly Replaces: 68174064AD, 68174064AE Part Notes: Challenger. Without hid. 2015-18 Dodge Challenger head light Used OEM Right (Passenger side). 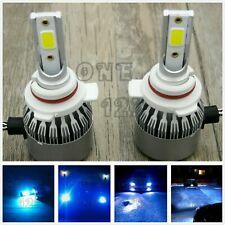 This item is pair of Newest extremely bright high power CSP-SMD 6000K xenon white 9012 LED headlight bulbs, FANLESS mini design,direclty plug and play for most vehicles, total 9000 lumens for both sides, especially designed for replacing the headlamp, fog lights or DRL (daytime running light). Specification. You are buying one new set of 2008-2018 Dodge Challenger driver, and passenger side head lamp fascia support brackets. HEAD LAMP FASCIA SUPPORT BRACKETS. DODGE CHALLENGER. 2015 2016 2017 2018 Dodge Challenger Left Driver LH Side HID Xenon Headlight Air Catcher Option JFV. HID XENON LED Headlight. Left Driver Side. part number must be match. All Other tabs intact. A part of one tab is missing. Factory Part#68174067AE. You are looking at a factory OEM Dodge Challenger R/T Driver's side(Left) HID headlight assembly. This light is for the 2015-19 Dodge challenger R/T. IT DOES NOT have the SRT or Hellcat logo These are like new as the car only had 1,889 miles on it. For Jeep Wrangler. LED HEADLIGHT BULBS. 4X6 LED HEADLIGHT. 7X6 LED HEADLIGHT. Harley Davidson Softail Models LED Headlight features Any Harley Davidson models with 7" headlight,such as Plug & Play, LED Ballast, LED Canbus & H4/H13 Adapter Included.